Patrick Pheasant is the CEO of NEAS, a global leader in quality assurance for the English language teaching (ELT) sector. An avid proponent of drama in the classroom, we sat down with Partick to talk about the benefits of role play in ELT and the power of drama in the classroom. As the education sector shifts back to a focus on doing, as opposed to only memorising, drama is once again finding a place in the classroom. The growing appreciation of drama in the classroom has excited NEAS CEO, Patrick Pheasant. The Occupational English Test uses role play to assess speaking skills, instead of structured interviews found in general or academic tests. We sat down with Patrick to think about the benefits of role play and why it is a better way to test the language proficiency of healthcare professionals. Patrick is a firm believer that drama when used in both education and English language testing can deliver additional value to students and candidates. During his role at NEAS, Patrick completed a PhD that explored the benefits of drama in the classroom. Role play and other drama techniques inject spontaneity into classrooms. The participant-learners were able to connect to the characters because the scenario drew analogies with their real life, reflecting their own journey in Australia. Alongside English language teaching, role play is beneficial in the assessment vertical as well. “I get really excited when I think about a test that uses role play,” Patrick said. This is particularly important in the healthcare sector, where doctors, nurses and other healthcare workers need to be able to deal with change and evolving conversations. With a background in English language teaching, educational drama and occupational therapy, Patrick also highlighted the connection with healthcare training, where role play is used extensively. “I’ve seen how it’s used in occupational therapy training, and the reasons and outcomes for using it are the same,” he said. Role play can help assess whether a healthcare professional can adapt to new speaking situations. NEAS provides a quality assurance framework that establishes and maintains high standards of the English Language Teaching (ELT) industry. The NEAS QA Framework covers seven key areas, including Teaching, Learning and Assessment. “Part of NEAS’ framework looks at whether providers have chosen the techniques and pedagogy that best suit the needs of their students,” Patrick said. Using drama correctly means ensuring the elements, such as role play, are not isolated from other teaching techniques. It should play a part in a larger whole in ELT and English language assessment. Drama and role play offer several benefits to students and test-takers as well as employers and regulatory bodies. As teachers become more comfortable with drama techniques, the expectation is to see them become more common across the ELT landscape. 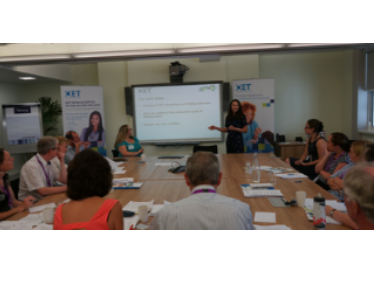 With over 30 years of pedigree, OET has firmly established role play in the assessment sector. If you would like to know more about how OET uses role play, contact us today. Patrick is running Drama in ESL Workshops around the country, helping teachers and preparation providers build confidence using drama in the classroom. For more information on this NEAS Quality Learning Series, you contact NEAS today at www.neas.org.au. 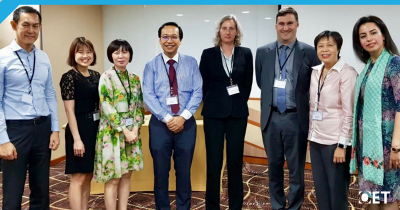 RELC Singapore OET Test Venue Launches with two successful events. 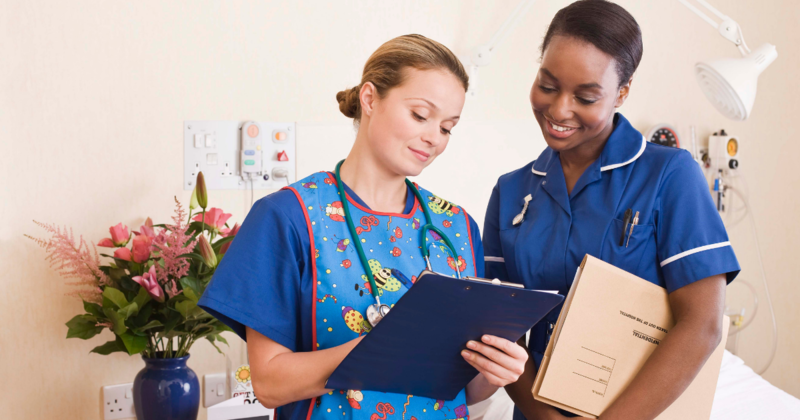 A team of specialists involved in the recruitment and training of doctors and nurses in the UK will help to ensure the continuing relevance of the Occupational English Test (OET), a unique test of English for healthcare professionals. This group of subject-matter experts will complement the work of a team already working in Australia.